Advertising Posters, Steam Cars and Water Rockets. 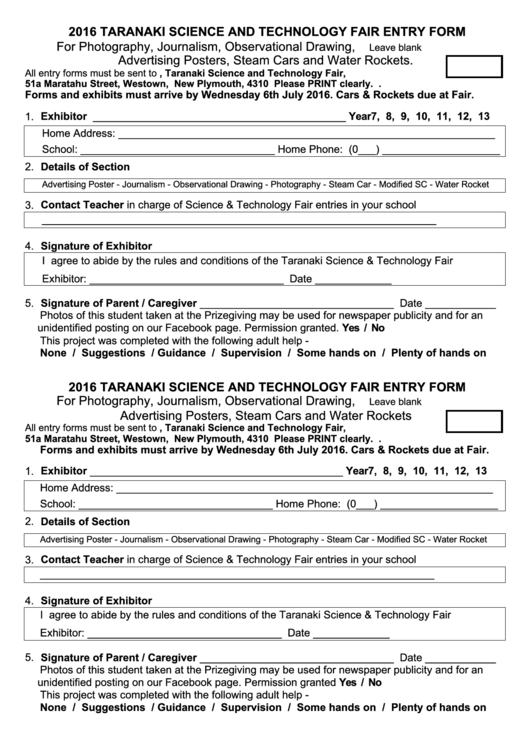 51a Maratahu Street, Westown, New Plymouth, 4310 Please PRINT clearly. .
Forms and exhibits must arrive by Wednesday 6th July 2016. Cars & Rockets due at Fair.